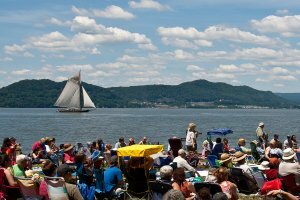 The Great Hudson River Revival (Clearwater Festival) will return to Croton Point Park, NY on June 15-16th! Founded by folk legend and environmental activist, Pete Seeger, Revival is the country’s oldest and largest music and environmental festival, bringing together major musical acts and Clearwater’s own brand of green activism for a unique weekend every June. Stayed tuned at Clearwaterfestival.org for forthcoming announcements about the musical lineup, festival tickets and volunteering information. This year's festival will be directed and produced by Jason Samel of Movement Music Records.